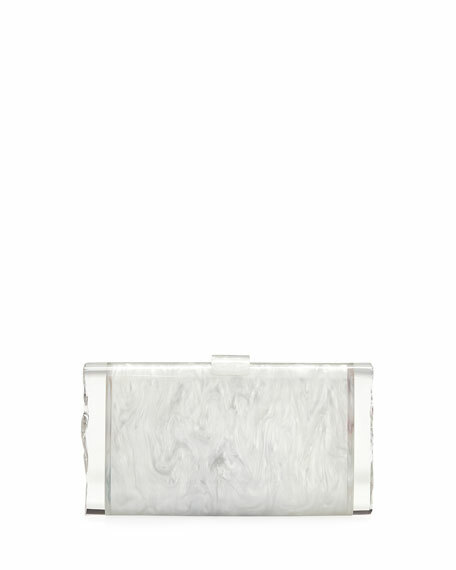 Edie Parker "Flavia" marbled acrylic clutch bag. 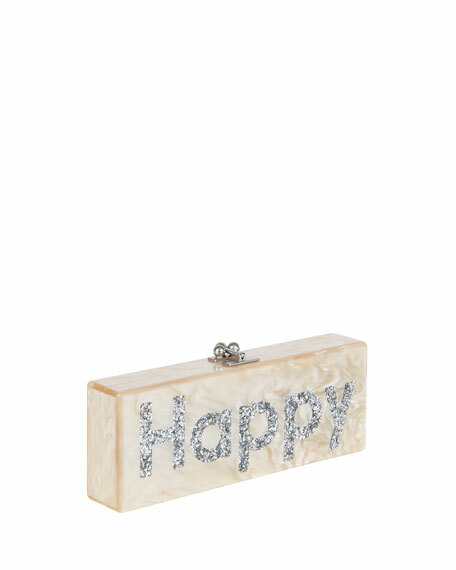 Glittered "Happy" text at front. For in-store inquiries, use sku #1637694. 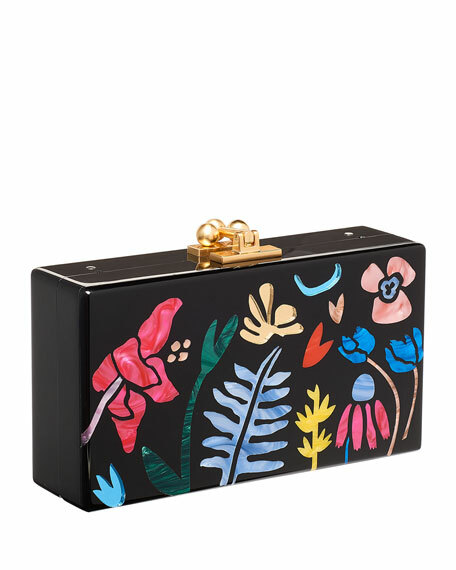 Edie Parker hand-poured acrylic clutch with multicolor garden features. 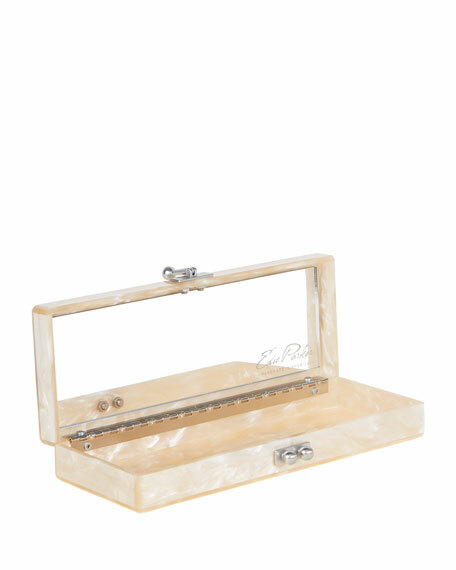 Hinged opening; kiss-lock closure. 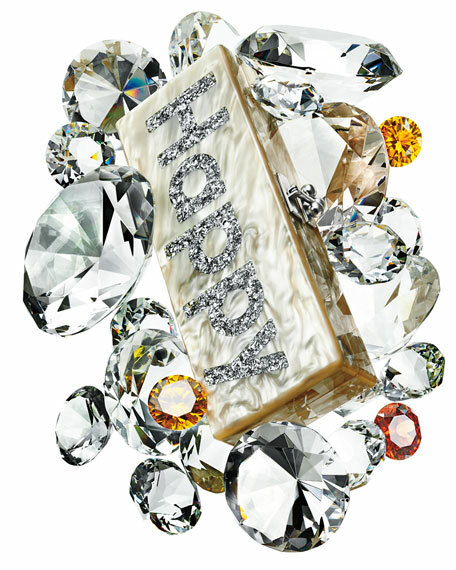 Interior, vanity mirror with logo etching. Fits an Apple iPhone 8/7. 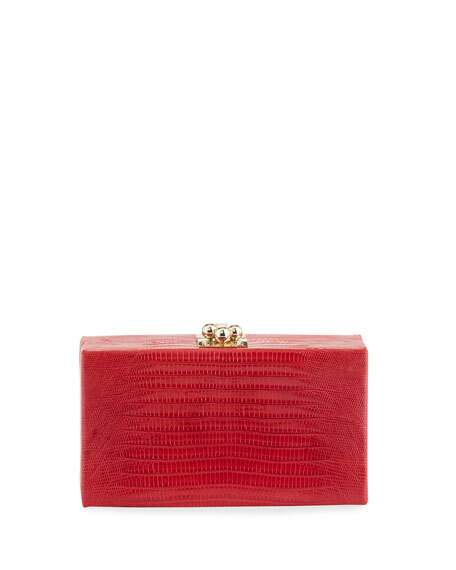 3.5"H x 6.8"W x 1.8"D. "Jean" is meticulously handcrafted in the United States. Exclusively ours. 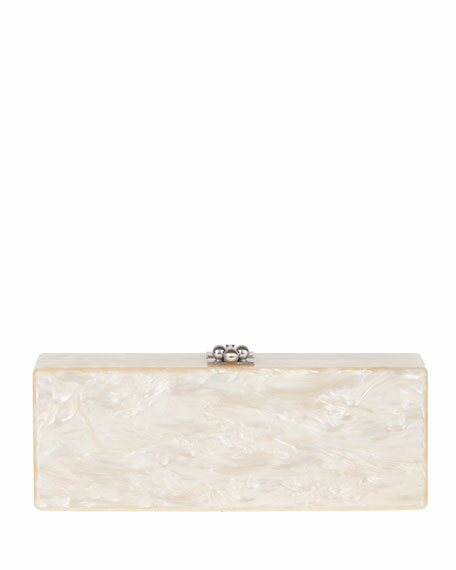 Edie Parker clutch bag in genuine lizard skin. Hinged opening; kiss-lock top clasp. Interior, fabric lining. 3.5"H x 6.8"W x 1.8"D. Fits an Apple iPhone 8/X. "Jean" is made in Italy.